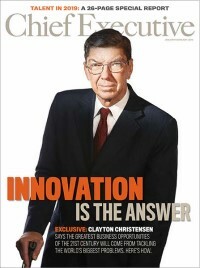 Much has been said about how companies can foster innovation internally. Suggestions range from devoting a certain percentage of each week to staff ideation sessions geared toward imagining new products, or getting CEOs to delegate more operational duties to COOs so they can spend more time being creative. But a spate of recent deals is bringing such strategies into question—at least for large companies with an existing core product offering. As recently reported by Chief Executive, companies including Google, Apple, Intel and Microsoft have started partnering with other companies at a rapid rate to access their know-how. Among them is Renault-Nissan, which last month announced a new partnership with Microsoft to develop advanced navigation and predictive maintenance technology for its cars. “We’re going to partner with more companies,” Renault-Nissan CEO Carlos Ghosn told TechCrunch in a recent interview. According to Ghosn, there’s not much difference between designing a company and designing a car. To be sure, Ghosn says there have been instances where the company has had to innovate on its own. It had to start developing its own batteries in 2007 after deducing that were none around that were good enough to power its electric cars. Even then, though, the company has been able to let go.